Design Competition to memorialise Conscientious Objectors :: Great War Dundee - This is the story of the 30,490 men that left Dundee to fight in the First World War and of the people left at home. 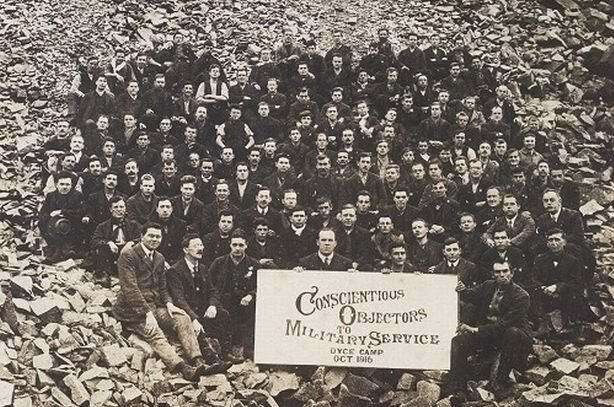 Great War Dundee and the CO Memorial Committee are pleased to announce the Design Competition for a permanent Memorial to Conscientious Objectors to be created in Edinburgh’s Princes St Gardens. Artists are invited to submit applications by 12 noon 15 December 2017. A shortlist of three or four artists will be engaged to create designs for the Memorial.